This easy garlic butter shrimp is not only delicious but is also quick and simple to make. 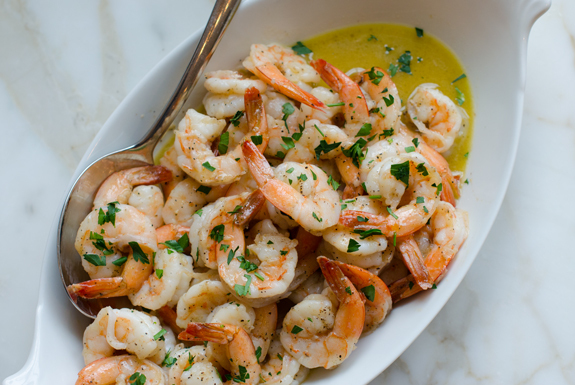 This garlic butter shrimp is one of my go-to recipes when I have to hit the kitchen running. It takes just twenty minutes to make, I always have all of the ingredients on hand, the kids love it as much as I do, and there’s barely any clean-up! I like to serve it over pasta or with a lightly toasted baguette for mopping up all of the garlic-butter sauce. It also makes a fabulous appetizer for a party — just keep the tails on and serve with plenty of napkins. Begin by tossing the shrimp with olive oil, salt, pepper and garlic directly on a baking sheet. Roast in the oven for 6-8 minutes, until pink. Add the butter directly to the hot baking sheet and toss with the shrimp until melted. Sprinkle with a bit of parsley if desired and serve with lemon wedges. Place the shrimp on a baking sheet and toss with the olive oil, salt, pepper and garlic. Roast for 6-8 minutes, or until the shrimp are pink and just cooked through. Immediately add the butter directly on the hot baking sheet and stir until melted. Transfer the shrimp and butter sauce to a serving dish and sprinkle with a bit of fresh parsley, if desired. Serve with lemon wedges. Love this recipe! When I can’t decide what to make for dinner, I always turn to shrimp from the freezer and tried this as a different way to prepare it. As easy as it says and very tasty. I serve with a green salad with oil/vinegar dressing. Simple dinner but always a hit. Make this. And make a lot of it! So quick and easy for a weeknight dinner or weekend with friends. I had all the ingredients in my refrigerator and pantry. It was easy to double the recipe and I used leftovers the next day tossed with fettuccine and avocado. Delish! This shrimp is wonderful! It’s such a quick dish to make after work, I serve it over pasta and any left overs that I may have I take to work for lunch. It’s so simple and the flavors are great! So fast, easy, and incredibly delicious. Your recipes never disappoint, Jenn. Many thanks for another winner! This is an amazing recipe! The flavor is wonderful and the ease of preparation is painless and stress free. This is perfect with a simple salad and crusty bread. Every recipe of yours is awesome. I have your cookbook and choose your recipes online whenever they come up in my searches. Simple with great technique, this recipe is another fantastic example. Cooked these shrimp as directed, perfecto! Thanks so much. A HUGE THANK YOU! My family wanted something different tonight for dinner and shrimp sounded good only I’ve never made it before. I found your recipe and followed it exactly. My family LOVED it! ❤ This was surprisingly so easy to make and we will definitely be making this again. This sounds so much like the buttered shrimp that we have at a local Chinese buffet. I am wondering though, if already cooked, frozen shrimp could be used instead. I don’t recommend frozen cooked shrimp for this recipe, Mikki – sorry! I never review recipes but I just really wanted to say how amazing this recipe is. I’m a personal chef for several families and I have used slight variations on this recipe countless times in the last few months. It really is the best way I’ve found to get consistently cooked, beautiful shrimp every single time and I’ve gotten rave reviews from my clients for it. Thank you! Such a great go-to recipe! It was soooo easy to do. Instead of serving the shrimp on top of pasta, I served it on zoodles! Very lo-carb! I’ll always keep a bag of shrimp in my freezer now. Too Salty! Loved the cooking method. The shrimp were tender, something I have difficulty achieving when I saute on the stovetop. I must say that I found the shrimp, while tasty, were waaaaay too salty. I had to strain the shrimp and discard the sauce. I’m surprised there are no other comments about this. Next time I will use 1/2 tsp. or less, but will make it again. Could you do half shrimp and half scallops? What other options are they besides shrimp? If I wanted to substitute it with something? Hi Kel, I can’t think of what would be appropriate — I think this recipe is really best with shrimp — sorry! 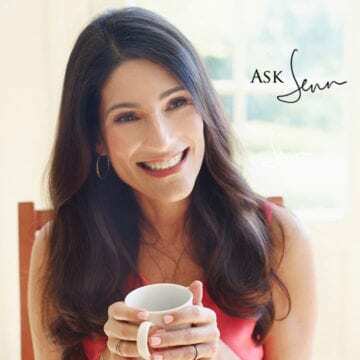 Dear Jenn, Enjoyed many of your recipes and loved every one of them. But I am puzzled. Recipe for easy garlic shrimp calls for shrimp, ‘peeled deveined’; the illustration picture of products used has a bag of shrimp that states ‘simple peel deveined’. Isn’t that two different types of shrimp? What a great way to make shrimp! It was delicious! I used fresh shrimp and it was easy and a hit! Thanks, Jenn! Do I boil the fresh shrimp first? Or does it cook in the oven? Hi Greg – the shrimp will cook fully in the oven. Enjoy! Love this recipe. It’s similar to something I have been making 15-20 years (garlic-butter shrimp on the grill, my late Father-in-law cooked shrimp like this). I’ve adopted his to the stove-top and grill and really like to change things up: adding Bay Seasoning, Lemon-Pepper spice mix, my own Blackening Seasoning, my own Cajun Seasoning, etc. to match a different meal profile. I weird that I like to use my own seasoning but controlling the salt level is necessary. Thanks for posting and I hope the best to you and your family. Keep up the great recipes! My picky son loved this- in fact it’s one of the few meals that really appeals to all of us. And it’s soooo easy. This is one of my favorite recipes! Simple, quick, and tastes delicious! The recipe is perfect the way it is, no need to change a thing. It is my go to recipe when the family is craving shrimp. Have made it many times and it always comes out great! Thank you, perfection once again! I used inexpensive defrosted shrimp and this recipe was still stellar. I did cook them for 8 minutes. How many shrimp in one serving of this recipe? Hi Margaret, I can’t say for sure how many shrimp per serving as it depends on whether you use extra large or jumbo shrimp. The recipe serves 6, so you could divide it up into the 6 servings to be sure. This was so very easy and delicious! It makes me always want to make shrimp this way. Served with rice and a green salad. If I use Kerrygold butter with this, which is salted, do I need to make any adjustments to the recipe? I wasn’t sure if the recipe called for salted or unsalted butter. Thanks in advance! Hi Mina, the recipe calls for unsalted butter. While it varies by brand, most salted butter has approximately 1/4 tsp. salt per stick, so you can reduce the salt in the recipe as needed. Enjoy! Easy-peasy, and delicious! The only thing I would do differently is buy a better quality of shrimp. I made about a quarter of the recipe and it turned out great. Can I substitute regular margarine for the unsalted butter? Hi Wanda, I’ve never used margarine here, but I think it should work. I would reduce the added salt, though. What temperaturer do I use to roast? The shrimp gets roasted at 350 degrees. Enjoy! Was a great Christmas eve meal. Simple and delicious. ? Yum! I made this tonight and served with salad and crusty bread. The bread was good for soaking up the yummy butter and garlic. So quick and easy for a weeknight meal. If I was to make a large amount for an appetizer on a buffet table, can they be kept warm in a chafing dish? Would they overcook? Hi Joan, Because shrimp are pretty delicate (and not very appealing/tender when overcooked) I’d avoid a chafing dish for these. Sorry! This is delish! Love how easy it is and not many dishes – my kind of meal! I’ve made this as an appetizer and also as dinner (pasta and a salad). Absolutely delicious. My husband called me at 4pm to ask if he could bring a client home for dinner that night. I had to clean the house and prepare something amazing for dinner quickly. I had never made this dish before but it had the word easy in the title had I had frozen shrimp on hand. It was super quick, easy and turned out perfect. Even the kids loved it. If you want to make it LOOK like you have put a lot of effort into creating an amazing meal-try this recipe. Fantastic!! Do the shrimp have to be defrosted and shelled first for the easy garlic shrimp? How can this recipe take just 20 minutes? Hi Vivian, Yes, if using frozen shrimp in the shell, they need to be defrosted and peeled. I usually run them under warm water, which makes it quick and easy. Hi Jenn, I made your recipe using wild Argentinean red shrimp, which have a slightly different taste. They were absolutely delicious and so easy. I’m wondering where all the sodium comes from. 1867mg per serving seems way high for the ingredients. I’m hoping that’s a typo. Thanks. Hi Sally, I’m glad to hear you enjoyed the shrimp! I use a program called Edamam to calculate nutritional info for each recipe. I just re-entered the recipe and the results now indicate that there are only 1,286 mg. of sodium per serving; so still high, but not approaching 2,000 mg! I suspect that Edamam periodically changes the numbers of certain ingredients based on any research they do, so I assume that accounts for the periodic changes in the numbers. Hope that helps! Jenn- Is there any reason you HAVE to keep the tails on? I am just thinking tails off would make it easier for my kiddos. I have never cooked shrimp before and want to make sure taking the tails off doesn’t cause them to cook faster or dry out? Thanks! I’m planning a pasta bar party. What are your suggestions for making this as an “make-ahead-of time” dish? Hmmm, so as not to overcook the shrimp, maybe I’d undercook them a bit in the oven, and then reheat them just until warm in the microwave. Eh. I’m confused over the rave reviews on this one. It certainly wasn’t bad but it definitely wasn’t great either. Just average. We served it with noodles but the only variation to the recipe is that I only used 1 lb of shrimp, and then cut the other ingredients in half to coincide. Shouldn’t have made a difference because everything was in proportion to the original recipe but there was very little flavor. I agree..they were good but just lacking something? Next time try squeezing some lemon juice on the shrimp during the cooking stage. You will be amazed at how much flavor difference this adds to the dish. Why can’t we use pre-cooked shrimp? Kimberly, while I think this is best with fresh shrimp, if you want to adapt it for cooked, I would cook the garlic in the olive oil and butter over very low heat for about 5 minutes, then add the cooked shrimp and heat until just warm. Hope you enjoy! Does this make enough sauce to serve with pasta or rice? Yes Gail, it does. Hope you enjoy! I’ve been waiting and waiting to try this recipe since my husband doesn’t like shrimp. As soon as he said he wanted to go fishing today I said, “I know what I’m having for lunch.” I can’t believe how good and easy it was. I don’t think it took the whole 20 minutes. I lined my cookie sheet with foil so there wasn’t even any cleanup. Thank you so much. I’m now saving this site to favorites. Again, quick and easy…..and of course delisioso!!!!!!! My husband literally inhaled the shrimp!!!! It was soooo tasty and soooo easy! Thanks again! These were delicious. My husband and I love garlic so I doubled it. I’m going to try incorporating this into a main course. My first time making a shrimp dish. It was super easy and delicious! My husband loves shrimp and he said it may have been the best he’s ever had. Will be making again. These shrimp are AWESOME! I have made them so many times and I always get, “this is my favorite dinner!” Thanks Jenn! I made these for dinner (with some veggies) & they were wonderful! So much flavor. Will definitely make again! Thanks! Easy and delicious! Just my kind of meal! I made this the other night for supper. I followed the recipe and it was delicious. I served it over fresh linguine noodles. My 12 year old loved it. It will become a regular item in my dinner rotation. Wow, this was good. I halved the recipe but kept the two cloves of garlic. I used Smart Balance and sprinkled the shrimp with Italian seasoning after it was out of the oven. Normally I have mixed feelings about sea food and sea food flavors, but the garlic especially made this recipe an instant favorite! Scrumptious. Served over wheat fettuccine pasra with broccoli. Wow! I am home alone and have been ordering in all week. I had some shrimp in the freezer, and knew I could count on this site to turn out something amazing with limited time and ingredients. Crazy how just a few simple ingredients can taste so good. I actually made these stovetop only because my oven was occupied with my brussel sprouts and gave them about 2 minutes a side on medium heat and otherwise did things exactly as specified. Delicious! Can’t wait to make these for hubby when he comes home with some yummy warm bread and Sauvignon Blanc. Thanks Jenn! When making the garlic butter shrimp do you add the garlic while roasting the shrimp or when adding the butter at the end? Hi Belinda, You add the garlic with the salt and pepper. Enjoy! Can pre-cooked shrimp be used in this recipe? Sorry, Alvin, that won’t work. I made the easy shrimp the night before a party and served it cold with cocktail sauce. I just added 1/2 T of the butter and a little lemon juice to soak overnight. Can’t believe anyone would cook shrimp 12 min! they would be dry and hard and ugh. I tried to print the whole document, step by step and I am unable to print it or save it. However, I am able to print the recipe and only one of the pictures. What am I doing wrong? Hi Maria, I would try highlighting exactly what you would like to print, then right click to print. The site is not designed to print out the step-by-photos, as most people don’t to deal with that many pages (it is a lot!). Hi Jeanne, Sure; cook time should be the same. Made this for dinner tonight and it was soooooo good. Super easy to make, I had all the ingredients! Added it to pasta and broccoli and it was a hit with my 11 year old (who said he doesn’t like shrimp)! Thanks so much for this recipe! Oh I forgot to mention I used about half the salt and pepper and it was a tad over seasoned but STILL AMAZING. Next time I will use ¼ of salt and ¼ of pepper. We made these for dinner last night and they were delicious! This recipes is incredibly over salted. The shrimp are slimy and raw at anything less than 12 minutes. Maybe your oven temp isn’t calibrated correctly; you can get an oven thermometer to check and see if your oven isn’t heating properly. I tried the recipe as is and it was wonderful! Everyone has their own taste for how their protein is cooked: I like my meat on the rare to med rare – lamb is rare. Period. My sister, a fish eating “vegetarian” insists on her fish being WELL done. I would die if I had to eat fish that definitively “dead”. So, while one may think that 8 minutes leaves the shrimp slimy, others think 12 is a bit over the top. This whole discussion assumes that the oven is, indeed, correctly calibrated. Fantastic! And what a great surprise to have a fast and easy recipe turn out so tasty and satisfying. I used the humongous jumbo shrimp in the fresh seafood dept. although these had been previously frozen, just as you said. Next time I’m going to try some from a frozen package to compare. If they are just as good, it sure would be convenient to keep a package in my freezer for nights I don’t have much time to cook or am too tired to make something elaborate. Thanks so much for so many incredible recipes! You’re the best find ever. Thanks, Jane! So glad you’re enjoying the recipes! Delicious, easy to make and loved by my family! 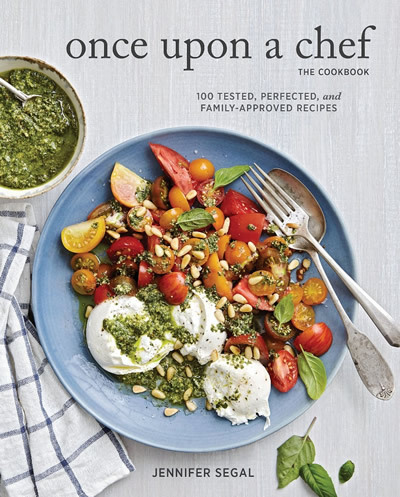 These recipes are wonderful — especially when they include the food value/calories/sodium in each dish. Speaking as a person who has to watch calorie & sodium intake, it is helpful when this information is included. When it’s not included, I disregard the recipe. Maybe I’ve missed it – when do you put the garlic in? Hi Kat, It gets added with the olive oil, salt and pepper. this recipe was DELICIOUS! and so easy to make. i love the idea of cooking the shrimp in the oven instead of stovetop in a skillet. this is going to be my go-to recipe for a quick and easy dinner. This had to be one of the easiest dishes I’ve made in a long time. It took no time to make this flavorful dish. The only thing I changed from the recipe was the amount of garlic, I love garlic so I added about twice as much. I served this dish w/ pasta and corn. The little bit that was left I mixed w/ the pasta and corn and ate it cold for lunch the next day. Great dish will make again simply because it was easy and quick. I had dinner on the table in 20 minutes. Hi Meryl, Either way is fine. I usually keep shrimp frozen until the last minute and then run under water in case our dinner plans change. Delicious! Thanks for sharing. As a native Marylander, I added some Old Bay and lemon pepper to the mix and it was fabulous! Everyone loved it. This sounds great. Just right for our gulf shrimp. Can I use ghee instead of butter? I’m starting the whole30 challenge next week and can’t use butter. Hi Viki, I think that should work fine. Start to finish I had dinner on table in less than 30 minutes. Thank you for these quick delicious recipes! I like your version better, though, because then I could control the sodium. Can’t wait to try it! I have recently been making something similar I saw on Pinterest or FB, and it so good as well. You melt one stick of butter and put that on a sheet pan, then slice up several lemons and place them on the butter. Then top the lemons with a layer of all the shrimp. Finally, sprinkle one packet of Italian dressing mix on top. Bake at 350 for around 10 minutes or so. YUMMM! Are shrimp frozen or just refrigerated? Hi Eve, Unless you live near the coast and have access to fresh-caught shrimp, always buy frozen shrimp and defrost before cooking. The “fresh” shrimp you see in the seafood case at most supermarkets are just frozen shrimp that have been defrosted — and you never know how long they’ve been sitting there. I usually poke a few holes in the bag and then run warm water over the shrimp to defrost; it only takes a few minutes and the shrimp are ready to cook. So when do you put your bag of shrimp into the refrigerator for defrosting? Do you need to pat dry before putting on baking sheet? Hi Eve, You could do it the day before or just run the shrimp under warm water right before you cook them (see my previous reply). You don’t need to pat the shrimp completely dry but it’s a good idea to let them drain in a colander for a few minutes. I am looking forward to trying this. . .I certainly have found that I like doing the shrimp in the oven. It seems to keep them from drying out. Very nice recipe. Unique procedure in baking the shrimp. I ususally make scampi on the stove top but the nice roasted flavor is simply terrific. “Did you do something different to these shrimp?” I was asked tonight…..”Nope, same ol thing”…LOL Thanks Jen. Only one comment so far? Want to see what others think and variations they have tried. I have two bags, four pounds, of cooked frozen shrimp left from the Winter holidays to use. Maybe put some of those in a microwave-safe dish, add the oil and other things and butter on top, maybe 5 minutes and see how it came out with more time if necessary to get really hot? Just to thaw and get it all hot and let the shrimp marinate a little? One serving at a time! ??? Hi Dusty, I just posted the recipe this morning – give it time 🙂 It’s important to use raw shrimp for this recipe. If you want to adapt it for cooked shrimp, I would cook the garlic in the olive oil and butter over very low heat for about 5 minutes, then add the cooked shrimp and heat until just warm.